Cottage home for sale in Seagrove Beach, FL. 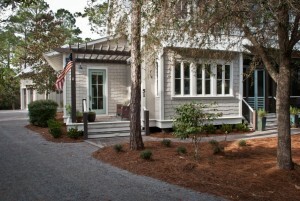 Minutes from Seaside and Watercolor this Seagrove home is located in the community of Grove by the Sea and features 5 bedrooms, 3 1/2 bathrooms, wood flooring, double sided fireplace, 2 separate offices, covered breezeway, carriage house, 2 car garage, and 3,477 sq. ft. of heated and cooled space. Grove by the Sea offers 2 community pools, tennis courts, and is only a short walk to the beach. Call us today to see this cottage home for sale in Seagrove Beach.